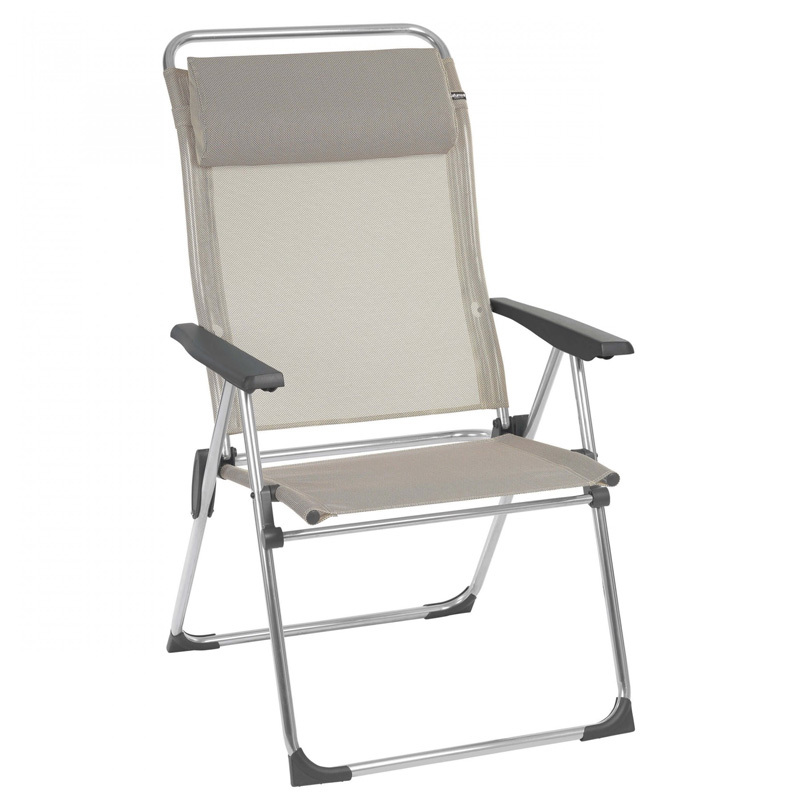 The Lafuma LFM2774 in seigle is a compact and lightweight aluminium framed (2.3kg) foldable chair ideal for camping, at the beach or in the garden. Let yourself be seduced by the practicality, lightness and sturdiness of this very comfortable folding chair. Designed to be 100% functional, it is easy to carry around whether you are camping, on the beach, in the countryside or simply at home in the garden...it's a win-win! Its Batyline® fabric, designed specially for outdoor furniture. Stylish and also practical: quick-drying, resistant to UV exposure and mildew, does not lose its shape. It is also environmentally-friendly as noted by its Oeko-Tex® label (guaranteed free from substances which are toxic to both people and nature). The frame, made from a sturdy aluminium alloy structure with transversal bar for enhanced rigidity. Compact size which helps with storage and carrying when folded. Finishes: quality resin armrests, reinforced stitching, very stable foot glides.